An ‘Inside Man’ with more to say? WILLIAM ‘PLUM’ SMITH’S BOOK, Inside Man: Loyalists of Long Kesh – The Untold Story, gives a personal account of his imprisonment as a young man from the Shankill Road. He was initially jailed for six months in 1971 but, shortly afterwards, served over another five years in the unionist paramilitary cages or compounds of Long Kesh. ‘Plum’ Smith traces his involvement in the conflict back to August 1969, first as a young teenager, then as a vigilante, quickly getting drawn into the Red Hand Commando (RHC) paramilitaries, a UVF affiliate. He paints a vivid picture of his two jail terms. After shooting a Catholic in 1972, he was moved between Armagh Jail, Long Kesh and Crumlin Road before starting a ‘Special Category’ (political status) sentence back in the cages. He writes as he speaks, and describes early encounters (some violent) with republican prisoners, actual and abortive escapes, learning Gaeilge, making poitín, and the exploits of “Granny McCrea”. At one point he refers to the growing population of young unionist prisoners looking “to our future with apprehension and anxiety”. They found leadership from the towering personality of Gusty Spence, the UVF/RHC prisoners’ O/C in Long Kesh. Spence, a former British soldier, laid down a regimented routine of drills, flags, uniforms and shiny boots. Smith says this regime brought focus and discipline. He offers a fascinating account of the burning of Long Kesh by republicans as witnessed from the UVF cages. His account, however, stops short in other respects. There is little assessment of the interplay between the war outside and political life in the cages. He briefly touches on conflict outside between the UVF and UDA, and its influence on tensions between both in Long Kesh. He doesn’t speak of how jail affected his family or other personal relationships. One very interesting section deals with the “Political Think Tank”, comprising Smith, Spence, Ronnie McCullough, Ken Gibson, John McKeague, and others. They shared their ideas with Billy Mitchell, and this had an “influence on political and operational matters on the outside”, but no further explanation is offered. Later, in 1977, he says questions were sent to the UVF leadership about whether that group should adopt a “political philosophy”. Tony Novosel’s book Northern Ireland’s Lost Opportunity [August 2013 review available on the An Phoblacht website] separately confirms Spence’s and Mitchell’s role helping to encourage a process of political discussion within the UVF constituency. He argues those ideas were undermined by internal power struggles, sectarian attacks, the hostility of mainstream unionist parties, and the British Government, including its intelligence agencies. Smith could have offered an ‘Inside Man’ insight to that frustrated process. The book effectively ends with his release in 1977 but then jumps forward to 1991 and formation of the Combined Loyalist Military Command (CLMC). 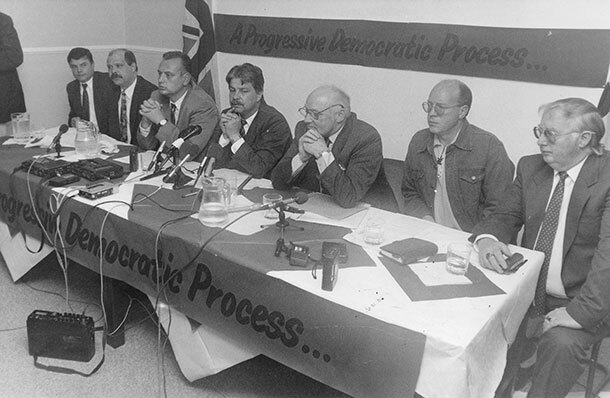 Novosel says the UVF and the Progressive Unionist Party (PUP), of which Smith became chairperson, had continued to contend with the challenges of new thinking through until the mid-1980s. Upon his release ‘Plum’ Smith became a shop steward in Belfast’s shipyard. He explains how he campaigned on prison issues, human rights, miscarriages of justice, and shoot-to-kill incidents. Unfortunately he provides no substantive commentary on the period leading up to the CLMC ceasefire announcement in October 1994 within the UVF and PUP. He chaired that particular press conference. In the period since, the PUP former leader David Ervine’s death and the shadow of previous UVF/UDA feuding, other killings, shootings and criminality have all combined to reduce the PUP’s electoral popularity. However, Smith represents an authentic narrative which republicans must seek to understand. This book can be an important contribution to encouraging the mutual respect which all political sides need to have for each other. He exemplifies an important, longstanding tradition within working-class unionism that has tried to think beyond the conservative and sectarian hegemony of mainstream political unionism. To their credit, ‘Plum’ Smith, Ervine, Spence, Mitchell and others have grappled with developing a coherent form of unionist class politics. That thinking is relevant to the political process. Such ideas should contribute meaningfully towards a shared future and authentic reconciliation. That will depend upon a viable political project. For now, however, the prospect of the PUP emerging as that viable alternative remains denied by the continued existence of the UVF and the misconception that its political or electoral base can be built upon a negative, anti-republican agenda. 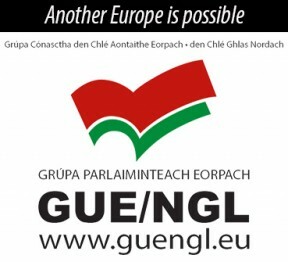 The future of the PUP will depend upon its ability to positively embrace non-sectarian, common ground and class issues. Sinn Féin will work constructively and collaboratively with any such unionist political project. ‘Plum’ Smith is bound to have an ‘Inside Man’ perspective on these very real issues. 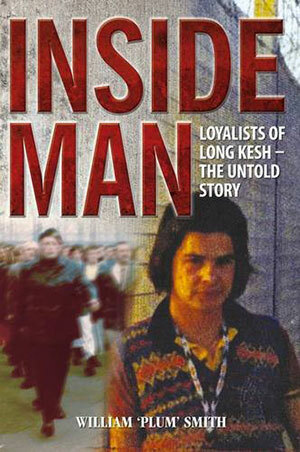 • Inside Man: Loyalists of Long Kesh – The Untold Story, by William ‘Plum’ Smith (Colourpoint Books), £9.99.